Are your uPVC windows failing to keep the Lincolnshire cold out? Are you noticing draughts and cold spots in your home? Have you needed your heating on higher or for longer? It could be that your windows are letting you down. Perhaps you’re still struggling with single glazing or your old and tired windows have worn down seals. Upgrading your glazing could be the perfect solution and will ensure that your home looks and feels its best. Double glazing is the most popular form of glazing and it’s easy to see why. With exceptional levels of heat retention, during the colder months your home won’t lose any warmth. Using an advanced reflective coating, your heat is reflected back into your room. In the summer, natural light can fill your home but you won’t overheat. By retaining heat, you won’t need your heating on as much which means lower bills and a reduction in your CO2 output. Make your home more energy efficient and environmentally conscious. We can offer you double glazing in both uPVC and aluminium. Aluminium offers a sleek and modern alternative to uPVC. With slim strong frames, they’re still exceptionally insulating. Choose from the classic casement windows, the innovative tilt & turn or charming sash windows. If you have a period or listed home where you can’t replace the windows or perhaps you just like how they look and don’t want to change them, secondary glazing could be the perfect choice for you. Secondary glazing is where an extra glazing frame is placed in front of your current windows to improve their weatherproofing and thermal insulation. It cannot be seen from the outside and is unobtrusive so won’t affect the aesthetic appeal of your original windows. If your home has charming heritage windows that still look good but don’t offer the thermal benefits of modern windows, secondary glazing is the ideal choice for your home. With experience in the window and door industry that spans at least 50 years, Cliffside are the ideal choice for your Lincolnshire home. We can travel from Lincoln and Grantham to Boston and Grimsby bringing our personal touch to your home. We’re a family run company that can take on any project and offer insurance backed guarantees on all our products. 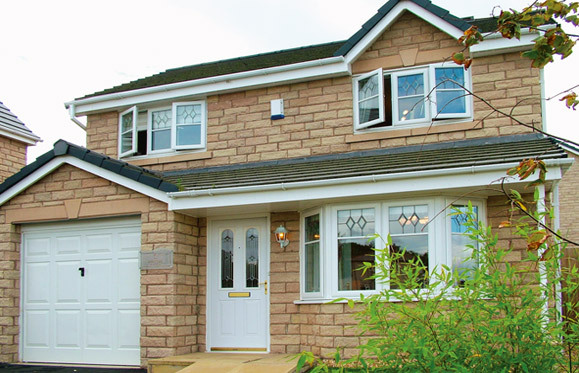 If your Lincolnshire home could do with some efficient uPVC windows that boost your kerb appeal and make your home as comfortable as possible, get in touch today. Based in Dunston, we're ideally placed to improve homes in Lincoln, Grantham, Sleaford and Boston, and all across Lincolnshire. We are members of the following schemes ensuring the highest quality products. Yes, I would like to receive marketing communications regarding Cliffside Windows Ltd products, services & events. By submitting your details you confirm that you agree to the storing and processing of your personal data by Cliffside Windows Ltd as described in the privacy statement.